Jim Kaskade is a passionate executive of sixteen years. 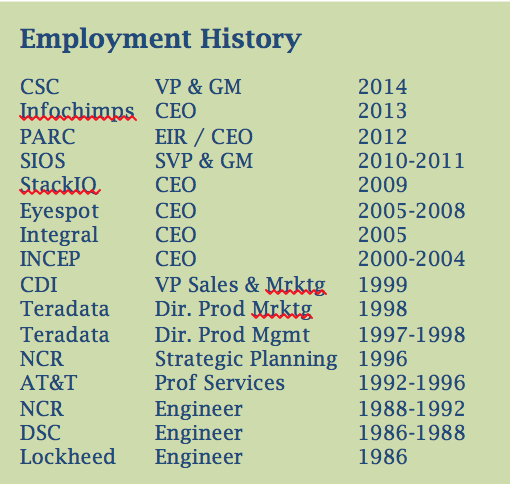 Currently leading a business unit of over 1,000 data-driven people as the VP & GM of Big Data & Analytics at CSC. Mr. Kaskade is responsible for turning data into revenue for Fortune 1000 clients with a global team including R&D, Product & Offering Management, Consulting, Delivery, Sales, Marketing, Finance, Operations, HR and Legal functions. Mr. Kaskade’s business unit is responsible for Big Data, Business Intelligence, Analytics, and Enterprise Data Warehousing, addressing an overall market where 30B devices (things) will be generating over 40 zetabytes of data annually in 2020, serving as the catalyst of a market growing at a 12.5% CAGR from $1.3 trillion in 2013 to $3.0 trillion in 2020. 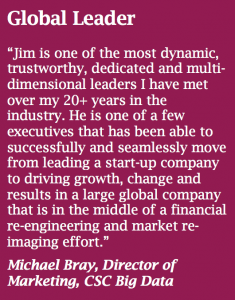 Jim leads teams with an entrepreneurial passion of a startup CEO and with a mind for scale of a well-established global executive. His experience in small and large company environments across all business functions over the past 28 years gives him a unique perspective of running high-growth and emerging businesses. Mr. Kaskade not only blends his experience working within a global multi-billion revenue company with his experience at hi-tech startup businesses, but he also leverages the fact that he started as an engineer, then worked in product and offering management, sales and marketing, and over the past 15 years as a CEO. Mr. Kaskade has focused on emerging sectors including Internet of Things, Big Data, cloud computing, software as a service (SaaS), online and mobile digital media, online and mobile advertising, and semiconductors; leading the companies from their founding to acquisition. He began his career in enterprise data warehousing, analytical applications, and business intelligence services designed to maximize the intrinsic value of data. Prior to CSC, Mr. Kaskade was CEO of Infochimps, a Big Data Cloud company, serving Fortune 1000 with a unique network of analytic services deployed in Tier 4 data centers across North America. This company was acquired by CSC in late 2013. Prior to Infochimps, Mr. Kaskade was SVP & GM at SIOS, a publicly traded firm headquartered in Japan, where he was responsible for the company’s global cloud business. He led a US business unit focused on developing a cloud application serving platform, addressing Fortune 500 data center needs in private cloud Platform as a Service (PaaS). Prior to SIOS, Mr. Kaskade was an Entrepreneur in Residence (EIR) for Express Ventures in San Diego assisting portfolio and prospect companies with their business. It was then he became enamored with the emerging private cloud market which was growing to over $55B in 2014 at a 51% CAGR per IDC. 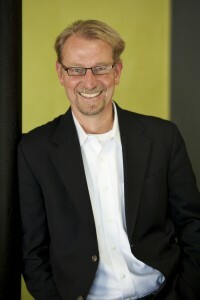 He was CEO of StackIQ, a provider of a unique cloud and Big Data operating system that incorporated a new linux distribution jointed developed with the San Diego Super Computing Center. Prior to that, he was the founder and CEO of a venture-backed video SaaS startup providing broadband and mobile video publishing, syndication, and advertising to over 10,000 companies. His startup was based on an elastic and scalable SaaS digital media platform built before cloud solutions from Amazon, Rackspace, and others were launched. His vision centered on a sophisticated advertising exchange with targeted and dynamic insertion of in-stream advertising, targeting a high-growth market segment growing to over $5.6B in 2013 at a 63% CAGR. He sold this company in late 2008. From 1998 to 2005, Mr. Kaskade led three startups in the semiconductor space, leveraging his experience in electrical engineering and IC design. Mr. Kaskade led the development of a new high frequency ball grid array package used by the largest brands in CPUs, GPUs, and high-performance ASICs. The company was venture backed by Paul Capital, and was positioned in the fastest growing market at the time, forecast to be $29B in 2003 growing at over a 46% CAGR. He sold his company in late 2004. From 1988 to 1998 Mr. Kaskade became the expert in decision support / business intelligence applications for enterprise data warehouses. His data warehousing career began as a lead semiconductor designer at NCR where he developed a Banyan crossbar circuit-switched high-speed network, the world’s largest circuit switched compute node network of 4096 processors and the basis for Teradata’s $2B+ data warehousing revenue today. In 2013 there were almost as many bits in the Digital Universe as stars in the Physical Universe. Over 44 zettabytes of data will be created annually by the year 2020. The catalyst for this will be the 30B devices or Internet of Things producing rich information about the environments in which they are operating. Mr. Kaskade leads a business unit at CSC that is growing at 100% year over year. At the core of the CSC business lies the combination of new web-scale technology and over 1,000 passionate analytics consultants and data engineers. At the core of each CSC client is data. From banking and capital markets, to insurance, manufacturing, health, transportation, and utilities, CEOs and business-line executives are leveraging Mr. Kaskade’s disruptive analytics capability and new business processes to ultimately unlock the value of data with new customer insights, product innovation, smart operations, and risk management – all producing newly obtained competitive advantage. WHERE DID THE DATA STORY START? Mr. Kaskade’s passion for data began when he became a part of a team at Teradata in 1988 responsible for developing the most scalable data warehousing platform, even today. Fast forward to late 2011, when Mr. Kaskade approached the CEO of PARC, a Xerox company, about building a next-generation Big Data platform. As an Executive In Residence, Mr. Kaskade did what Steve Jobs did prior to starting Apple – namely, he worked with some of the most brilliant minds at PARC (the inventors of technologies like Ethernet, the GUI, the mouse), and advanced PARC’s research in graph analytics to commercial status. This led to his work at PARC being incorporated into a fledging startup, Infochimps, where he worked with the Board to reposition the company to become a leading cloud provider of advanced Big Data analytics. Mr. Kaskade leveraged the expertise in web scale technologies such as Hadoop, NoSQL data stores, real-time stream processing, and cloud computing. What if you could deploy the most sophisticated data analytics capability of google, Yahoo!, Facebook, Linkedin, and Twitter, all on demand and in hours? What if you could solve the most pressing business problems within days? Mr. Kaskade realized his vision to achieve time to value in days; provide 100x ROI; deliver against the most stringent SLAs; at any scale; and no matter how challenging the business problem. The value of analytics is only limited by the degree to which you adopt and deploy across your enterprise. Under Mr. Kaskade’s leadership Infochimps and now CSC has accelerated at quarterly growth rates of 3X. After CSC’s acquisition of Infochimps, Mr. Kaskade tripled the staff, seamlessly integrated the team into the business unit he then took over, and has invested over $100M in the most advanced technology innovation, powering the US federal government’s intelligence analytics, and minimally the top 3 out of 10 enterprises in every major industry vertical. Mr. Kaskade applies stringent management systems, which lead with culture, followed by strategy, and finish with execution. Business requirements revolve around the applications, not the infrastructure. Even though Cloud Computing has shown a clear path to infrastructure automation and cost reduction, the real opportunity lies with the ability to automate provisioning the application to the end-user. Mr. Kaskade was tasked to establish SIOS’ overall cloud strategy in such a way that leveraged the company’s existing core competencies as well as guarantee a sustainable, long-term revenue stream in a large and high-growth market. Following a company-wide study of SIOS’ data center expertise, Mr. Kaskade proposed a multi-phase strategy that involved: 1) identifying and partnering with complimentary technologies/companies to augment the existing businesses, leveraging Cloud; 2) licensing technology to accelerate go-to-market; 3) internally developing new core technology that would differentiate the company in a completely new long-term growth business; and 4) invest in academia and startup companies to co-develop transformative technologies which could completely leapfrog SIOS beyond its competition. Mr. Kaskade detailed a three-phased business case to establish SIOS as a clear leader in Cloud. Phase one involved OEMing a leading cloud management solution that could initially be sold standalone and later as an integrated component of a broader solution. Phase two was to develop the first private cloud Platform as a Service for Fortune 1000 enterprises through a co-innovation partnership with one of the largest System Integrators. Phase 3 involved developing an advanced cloud storage technology, which would allow the company to address data storage requirements for consumer and/or enterprises in a way currently not available. Mr. Kaskade exhibited a sound process, testing his thesis in a systematic way with peers in the industry, leading analysts, and most importantly a suite of CIOs and data center architects. Mr. Kaskade successfully built an “A-team” of industry veterans who would take his vision and execute seamlessly. He also leveraged off-shore engineering resources in order to further reduce execution risk as well as expense. Four months after initial Board support of Mr. Kaskade’s strategy, under his leadership the company was able to build a team that created its first cloud product, validate market requirements with UBS, Citibank, JP Morgan, Walgreens, and Flextronics, and establish a first-of-its-kind CTO and Business-unit sponsored joint-development partnership with Wipro Technologies in support of a flawless go-to-market strategy. Simon Robinson of 451 Group: The Cloud is a Great Mechanism for Disaster Recovery (DR) and High Hvailability (HA). Virtual Strategy Magazine: What isa Viable Cloud Strategy for SMB Data Protection? Donna Fuscaldo of FOXBusiness: Which Cloud Computing Program is Right for You? High-performance computing clusters based on Linux have been rapidly becoming the dominant computing platform for a wide range of scientific disciplines. Yet, straightforward software installation, maintenance, and health monitoring for large-scale clusters has been a consistent and nagging problem for non-cluster experts. Mr. Kaskade was invited in by a group at the UCSD Supercomputing Center who had been developing a new Linux OS distribution based on RedHat for over 10 years to address issues with deploying and managing large HPC clusters. Mr. Kaskade worked with the Rocks Cluster Distribution team and a commercial partner, now StackIQ, to reposition the project into a new growth market with a high-end Fortune 1000 private cloud and Big Data operating platform. Mr. Kaskade knew that the HPC market was limited in size and growth and that Cloud Computing and Big Data in the commercial space was just beginning to skyrocket. With the addition of a sophisticated infrastructure automation layer, the Rocks project could be applied to the automated initiation, execution, management, integration, and availability of mission-critical enterprise applications on a shared, on-demand, standardized platform – a Private Platform as A Service. Mr. Kaskade’s vision was to compete head-to-head with incumbents like VMware as well as emerging venture-backed startups like Eucalyptus and Cloud.com. He believed that the Rocks team had already proven their ability to scale (installing complete HPC clusters of over 1000 nodes in less than an hour). What they were missing was an administration interface and multi-tenant cloud services capability. Mr. Kaskade assumed the role of CEO and led the team through a process to further the work done at UCSD and the commercial entity. 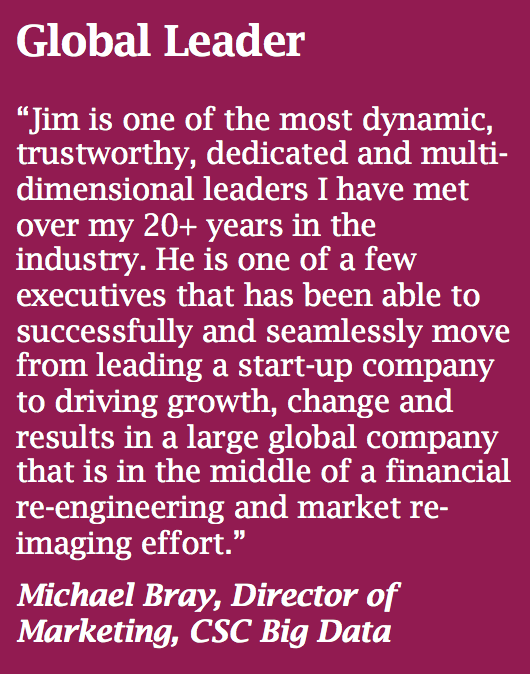 He worked to recapitalize the company, and prepare the team for a venture roadshow. Mr. Kaskade led the process of defining a new engineering roadmap, creating a new business model and associated business plan. He carefully sought out Industry veterans to test his thesis, talking to thought leaders at Amazon, Teradata, and Dell, as well as several venture groups in Silicon Valley including Sequoia, Trinity, and Redpoint. It is Mr. Kaskade’s focus on team which later led to a significant change in strategy. Although the technology proved to offer incredible opportunities, all academic team members were not ready to take the necessary leap into the commercial space. After about 18 months, both commercial and academic teams where brought together. StackIQ is now a successfully venture-funded startup changing the cloud and BIG DATA landscape. In 2005 Mr. Kaskade envisioned an online and mobile experience that would be driven more by video than by text and photos. Two years after Mr. Kaskade decided to pursue his first digital video startup, properties like Youtube began to gain traction and analysts began predicting that over 50% of the US population – 155.2 million people – would be watching digital video via online and mobile devices by 2008. Analysts also began to forecast that advertisers would spend much more on video ads with growth rates of over 55%. And although video advertising was a small percentage of the total Internet ad spending or of TV ad spending, this market was soon projected to grow 63% annually to a total of $5.8B by 2013. Once again, Mr. Kaskade had focused on one of the fastest growth segments, which was just beginning to gain attention from venture groups. Mr. Kaskade’s vision involved first spinning out a technology and team from his work at Teradata in data mining. He wanted to use product, team, and strategic capital to realize his vision in targeting marketing for wireless that combined his knowledge in CRM, mobility middleware, data mining, and databases. It became clear that Mr. Kaskade was ahead of the market opportunity by at least a year, which resulted in a two-phased plan to achieve his goals. Mr. Kaskade raised $10M in venture capital and built a video SaaS platform for both online and mobile video content publishing. In phase 1, he amassed a network of over 10,000 web and mobile enterprises using his platform to distribute video. In phase 2, he then began building a first-of-its-kind video advertising network exchange (Ad-Exchange), which included an ad-serving offering that allowed web and mobile content publishers to take advantage of multiple advertising sources for in-stream video advertisements. Website owners or mobile carriers simply incorporated a few lines of code into their web and mobile media players and they obtained access to all the major video ad-networks globally. Mr. Kaskade had established advertising partnerships with Google, Tremor, Yume, Adap.TV, Scanscout, Digitalsmiths, SpotXchange, DoubleClick, Microsoft, and 24/7, providing him the ability to guarantee a relevant/targeted ad for any video streamed through his SaaS platform. These partnerships led to notable deals with Lucasfilm, SonyBMG, News Corp (Fox Sports, Fox HiLites, Fox On-the-lot), IAC, Vh1, NBA, AETN, Cyworld, Demand Media, as well as 10,000 middle-market website publishers. Mr. Kaskade sold the company in 2004 just prior to a major consolidation in the online advertising marketplace. During this period chip performance and electronic system performance both were projected to follow the same historically aggressive growth trajectory over time. However, the capabilities of semiconductor support technologies were projected to lag. Silicon performance was not only continuing to be gated by the advances in semiconductor technology, but also equally dependent on the need for advances in power delivery, thermal management, and packaging technologies – starting at the chip and extending out to the system. Mr. Kaskade founded INCEP in 1999 after spinning out technology and team from a semiconductor services company where he served as VP of Marketing & Sales. INCEP was Mr. Kaskade’s first self-founded company, which acted as a springboard for his career as a CEO. Over a course of four years Mr. Kaskade engaged strategic joint-developments with CPU companies including Intel, AMD, Sun, IBM, and HP; with GPU providers such as NVIDIA; and ASIC/chip manufacturers including Texas Instruments. Mr. Kaskade and his team developed a revolutionary chip package with leading substrate vendors that enabled CPU vendor roadmaps for thermal, voltage, and instantaneous power delivery for over a decade with cost reductions of up to 50% for voltage regulation, 16% for device packaging, and 20% at the system-level for OEMs. The company had 74 patent filings – five US patents issued, 36 pending, and 33 provisionals outstanding when the company was sold. Coverage included three unique modular and high-performance power delivery methods. Proper patent prosecution was core to the success of the business. INCEP had a number of candidate CPUs in test with its packaging, proving its superior performance over alternatives from companies who were much better capitalized. Mr. Kaskade was successful in achieving market validation in an extremely capital efficient manner. He exhibited an exceptional ability to understand the company’s value proposition across the supply chain – a key element to achieving success in such an established industry. Mr. Kaskade not only navigated sophisticated MPU end-customers, but packaging, power supply, and connector suppliers, as well as compute system OEMs. After a number of strategic projects at Intel and AMD were internally delayed / redirected, Mr. Kaskade led the sale of the company to a $2B strategic investor (who was also a manufacturing partner, joint-development partner, and customer). Mr. Kaskade began his career in the data centers of Fortune 1000 enterprises as an engineer at NCR (later Teradata), the leader in data warehousing solutions. As a young engineer, hungry for the cutting edge, he was chosen to be among an elite group spun out of core development and placed in a separately-funded business unit – a BU tasked to create the next-generation data warehouse offering. He and four other engineers invented the BYNET (BanYan NETwork, a folded banyan switching network built on the original YNET). Mr. Kaskade and his team redesigned the original compute and storage node interconnecting technology used to create the DBC 1012, invented by Jack Shemer and David Hartke in the early 1980s. The BYNET proved to be linearly scalable, connecting up to 4096 processor nodes, and addressing scalability limitations of the YNET. Following his success in engineering, Mr. Kaskade turned to consulting some of the largest Teradata customers on their data warehouse architecture – customers including Walmart, Bank Of America, and AT&T to better learn of customer challenges directly. He later began developing new products for the company in an advanced R&D or “special projects” role. It was then that he identified data mining, knowledge discovery, and business intelligence as a strategic space, which could truly leverage the depth of data stored in the many data warehouses powered by the Teradata platform. Mr. Kaskade had gained experience with every component of the enterprise data warehouse framework for Fortune 1000 companies, eventually focusing on web-centric end-user business intelligence applications– applications which could realize the value of an ever- increasing amount of data captured via the web user traffic. Mr. Kaskade embarked on a path, which resulted in making fundamental changes to the Teradata database to incorporate analytics, which would automate the data mining process for data warehouses. Mr. Kaskade sold senior management on a number of business cases which followed his vision of data mining, and what later became a new age of information democracy with data warehousing and business intelligence. Through a set of reseller partnerships, OEM partnerships, and core technology development, Mr. Kaskade led the Teradata data mining revolution within the company, starting with a project referred to as Teradata Scalable Discovery, and now Teradata Warehouse Miner (TWM). TWM provides advanced analytic capabilities directly within the relational database. With this development applications can access, through an analytic API, machine learning algorithms such as rule induction, clustering, regression, association, and even neural nets, as an integrated operation directly against the detailed dataset. This program was successful and has been quickly followed by other leaders in the industry including Oracle, and IBM. Mr. Kaskade’s intrapreneurial efforts led to his responsibility for Business Intelligence and it’s impact on the Teradata RDBMS. Mr. Kaskade teaches courses to aspiring CEOs, assisting Adeo Ressi and team at the Founder Institute (FI), which has become the largest incubator in the world by number of companies created, number of locations, number of mentors and pace of company creation. Founder’s collective efforts have helped launch nearly 250 companies worldwide by over 300 Founders that employ thousands of people. FI has encouraged some of the smartest and most talented people on the planet to give up the safety of their day jobs and pursue a challenging path to their dreams. Mr. Kaskade has co-founded (with his wife, Annie) GreenEdge Kids, (www.GreenEdgeKids.com) the largest etailer of sustainable children’s clothing for ages 2-14. He and his wife also launched their own line of USA-made premium eco-denim for children, GreenEdge Denim (www.GreenEdgeDenim.com). GreenEdge Denim was born out of a desire to acknowledge the importance of the youngest generation, fuel recognition of the world we come from, and layer meaning into style. 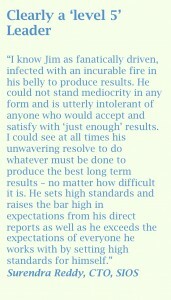 My biography can be downloaded here.